Red Kidney Beans are a protein-rich starchy vegetable, full of vitamins,minerals and an excellent source ofdietary fiber. Adding them to your diet offers a variety of health benefits such as promoting digestive health and preventing heart disease. Kidney beans, like other Beans and legumes, are rich in both types of dietary fiber -- soluble and insoluble. A 1-cup serving of kidney beans, cooked, meets roughly 45 percent of the Recommended Daily Intake for fiber. Both forms of fiber offer health benefits. 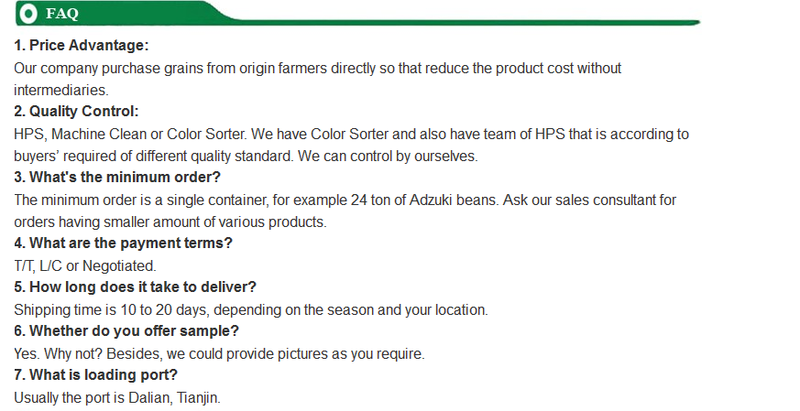 We can offer you the best quality red kidney beans with the reasonable price. If you have request, please contact us. Looking for ideal Non-GMO Dark Red Kidney Beans Manufacturer & supplier ? We have a wide selection at great prices to help you get creative. All the Red Kidney Beans are quality guaranteed. We are China Origin Factory of Organic Non-GMO Dark Red Kidney Beans. If you have any question, please feel free to contact us.